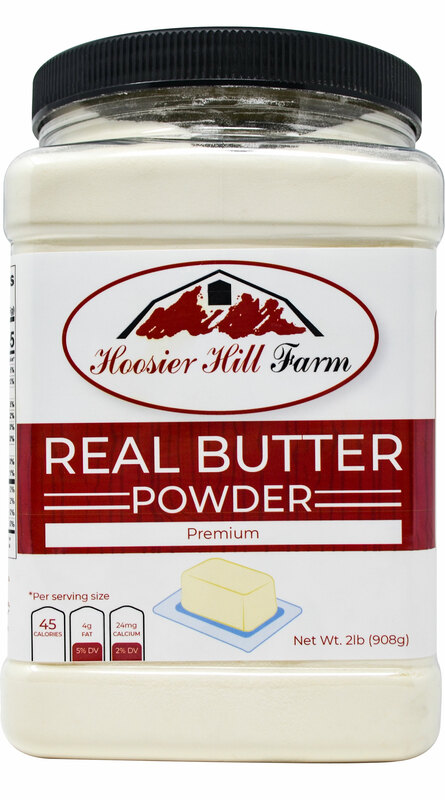 Home > Baking & Cooking > Hoosier Hill Farm Premium Arrowroot Powder, 1 Lb. 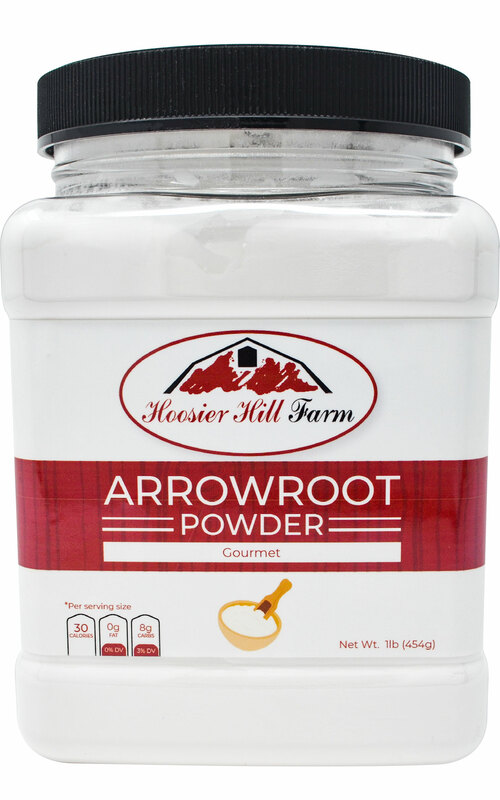 Hoosier Hill Farm Premium Arrowroot Powder, 1 Lb. 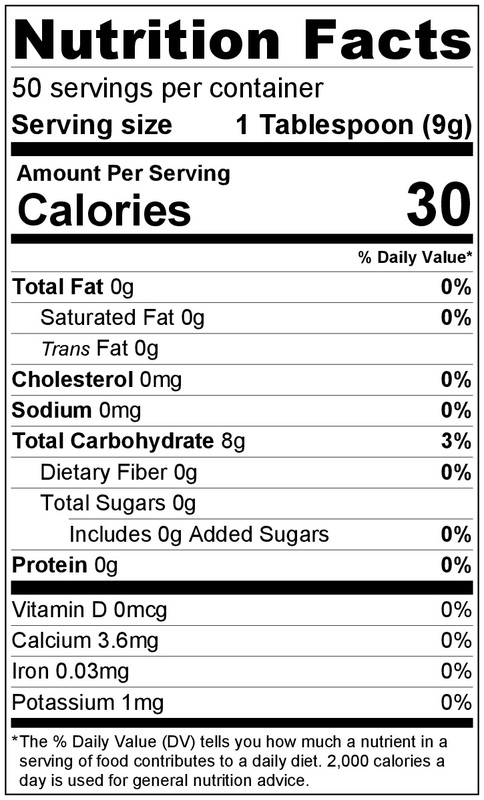 Arrowroot powder is similar to corn starch. Used primarily in cooking and baking. It has no taste and is often used a thickener. Arrowroot Powder is used as a thickening agent for sauces, fruit pie fillings and glazes, and puddings. 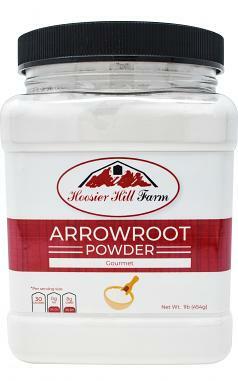 Arrowroot mixtures thicken at a lower temperature than mixtures made with flour or cornstarch. Two teaspoons of Arrowroot can be substituted for 1 tablespoon of cornstarch. One teaspoon of Arrowroot can be substituted for 1 tablespoon of flour. 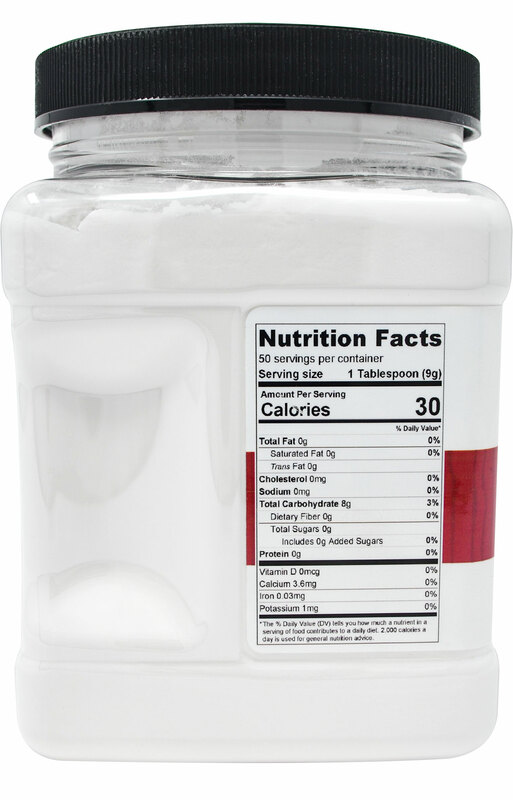 Arrowroot starch is an advisable replacement for wheat flour and has twice the thickening power. It is tasteless and becomes clear when cooked, and unlike cornstarch, it doesn't have a chalky taste when undercooked. Arrowroot is also known as tapioca flour and is the dried and finely powdered root of the cassava plant. It can be used as a thickening agent for sauces, pudding, pie fillings and gravies. Arrowroot Gravy: To make gravy, use 2-3 tsp. (mixed in a tiny bit of cool water) per cup of estimated juices. Drizzle in and stir constantly over a medium-high heat until thick, about 10 - 15 minutes. Remove from heat immediately so that the bonding does not breakdown, which will thin the gravy. - Use as a thickening agent in sauces, stews, and gravies. 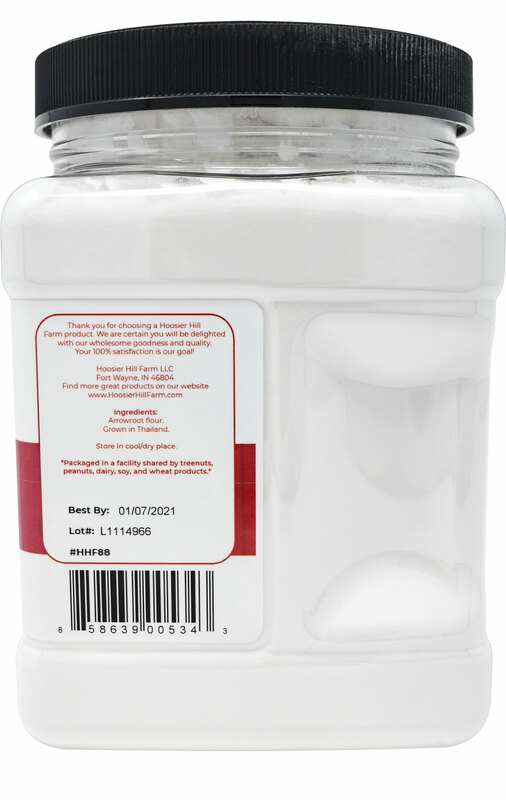 - Use as an alternative to flour in Paleo diets. - Make home made diaper rash cream, deodorant, toothpaste, dry shampoo. In a small bowl whisk together arrowroot powder, cocoa, and milk until relatively smooth. In a small saucepan, combine the honey and the milk mixture over medium heat. Cook until thickened, stirring constantly. Once thickened, remove from heat, stir in vanilla and butter until evenly distributed. Got it right away and it was good. Ordered it 2 times now. Waaaaay better then using corn starch. I have been looking for arrowroot at the local stores here in the DFW area and have not been successful. 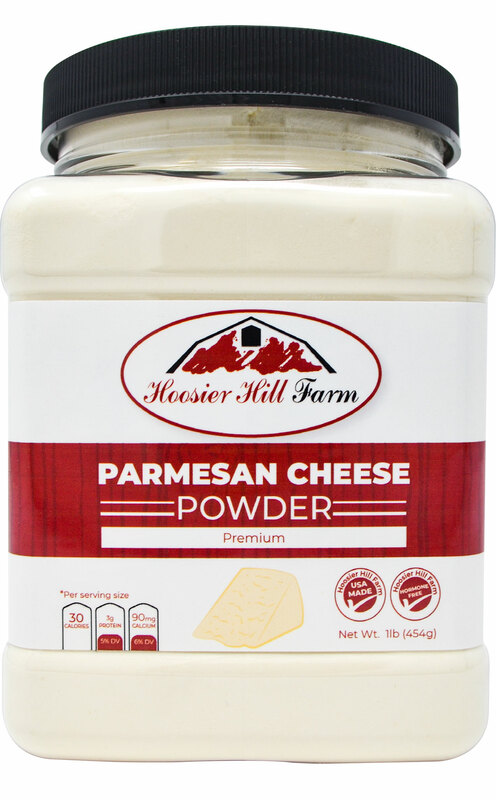 I searched Hoosier Hill Farm, and, voila. There it was in large quantities for a very reasonable price. I used some yesterday to make a chicken soup with homestyle veggies and broccoli. As my great grandmother from East Texas used to say, "Larraping good"! Great popcorn, pops well, very tender with not many hulls.